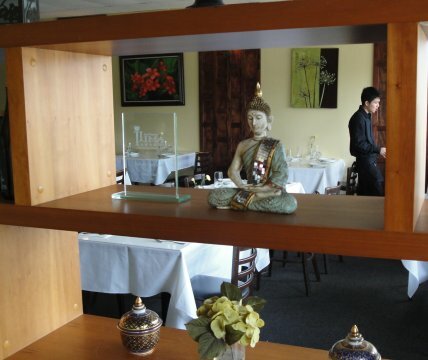 We’re still looking for the best Thai and Vietnamese restaurants to take our chef friend (Chef C) to. Over the weekend we tried here for lunch. The restaurant was well reviewed on Yelp. 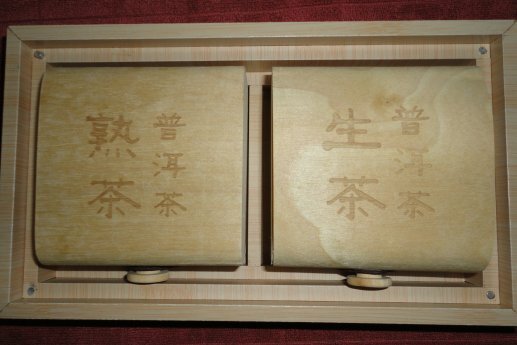 And won some kind of ‘Ilima Award in 2010. For some reason, we were in a vegetarian kind of mood. 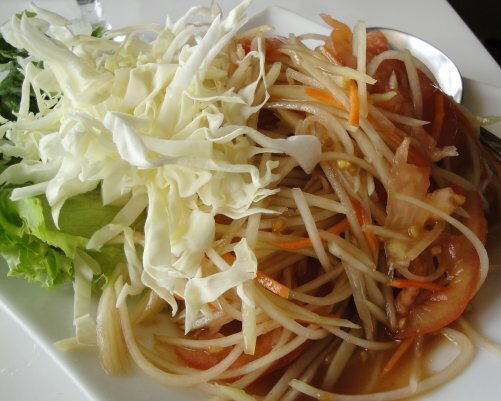 The description from the menu: green papaya salad (som tum) shredded fresh island green papaya stone pounded with garlic, tomatoes, and chili tossed in a special lime sauce. I thought the flavor was well-balanced not too salty, not too sour. 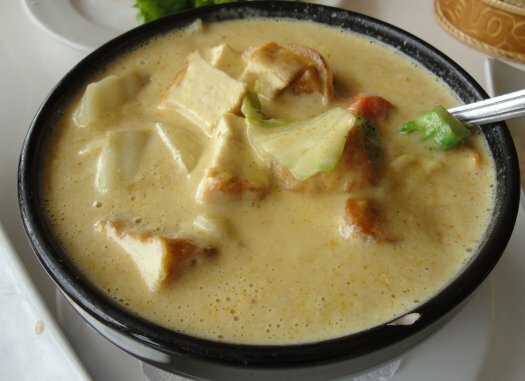 Again, from the menu: yellow curry (keang leang) potatoes, carrots, onions, coconut milk slow cooked in yellow curry. 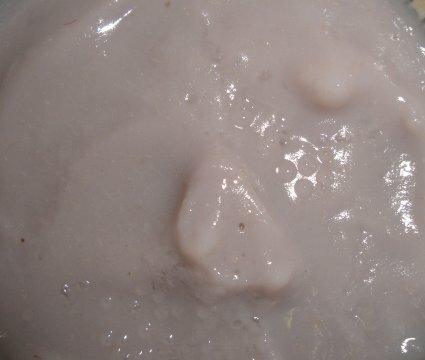 For many of the selections, various proteins can be added. On this day, we chose tofu. 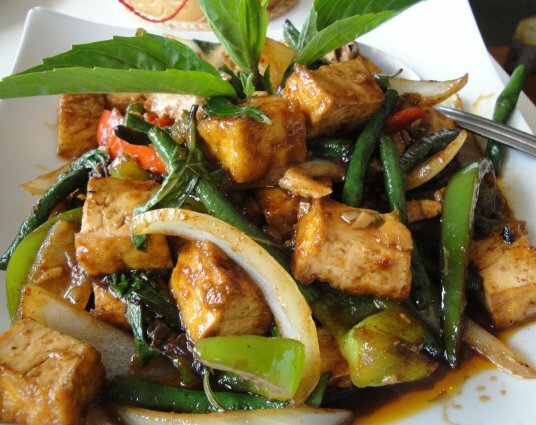 You know what’s coming: Holy Basil (pad krapao) fresh picked string beans sautéed with onions, roasted garlic, and Thai sweet basil in a spicy house special sauce. I think everything on the menu is ala carte. The Cat ordered Thai sticky rice (kao neow). She thought the container that the rice came in was soooo cute. 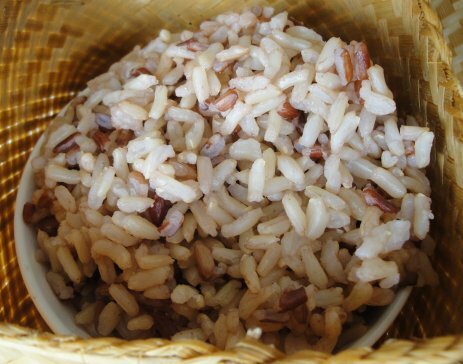 I ordered brown rice (kao deang) which ended up being red cargo rice which was alright. Unexpectedly met a friend, M, while I was doing some shopping. M suggested here for lunch. She said they make the best kalbi. While waiting for her to finish shopping, I looked up the restaurant on Yelp (one of my frequently used phone app). Since this was a new restaurant for me, I ordered one of their mixed plate to sample some of their offerings. 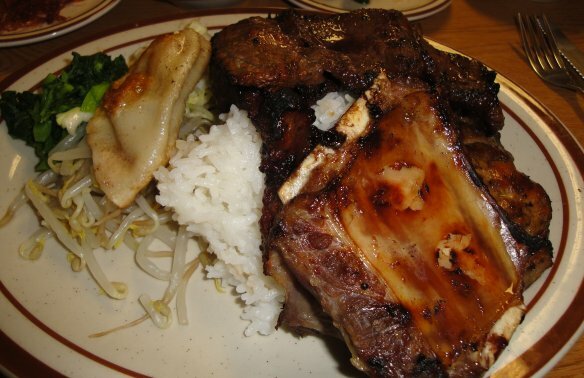 One piece of big boned kalbi, one barbecued chicken, one bulgogi, one fried mandu, vegetables and rice. M ordered the kalbi plate (I didn’t know she was such a carnivore). M was right, this is one of the best kalbi I’ve had so far. The rest of the food was good, but the kalbi was clearly the star of the show. 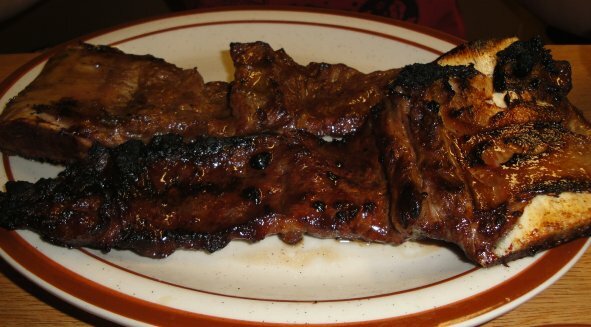 The kalbi was not the typical thin sliced short rib. It’s the “big bone” style. Just the right amount of texture. Thanks M, good choice. O-Bok is now on my list. I first deconstructed this dish when Portobello mushrooms and Balsamic vinegar were the rage (kind of tells you how long I’ve been making this). I tasted something similar at a restaurant (it was one of their signature dishes). After tinkering a bit, I came up with my own version. I once made it for a potluck that Aunty M was hosting. She usually makes everyone make plates to take home (she doesn’t want so much leftovers). When I went to claim the mushrooms, I found out she squirreled it away (didn’t get any to take home, sigh). 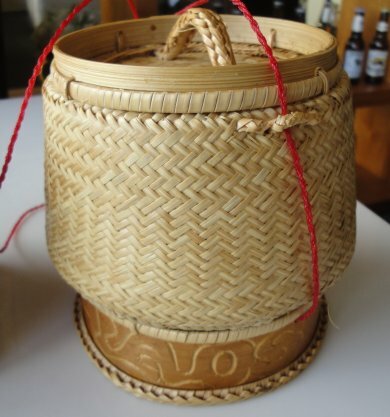 Going to a potluck with friends this weekend. 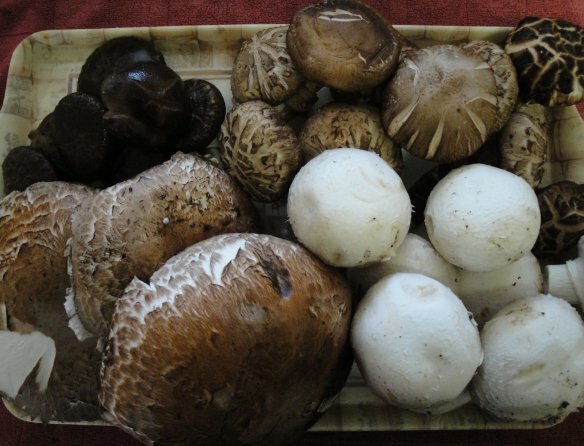 Instead of just Portobello mushrooms, I use a variety (whatever looks good and reasonable at the time). Clockwise from top left rehydrated Shiitake, fresh Shiitake, white, and Portobello mushrooms. I tried this dish with canned mushrooms once, bleh. I think the restaurant only used Balsamic vinegar. I use a variety, just to give the dish a unique taste. This time around, I’m using three different vinegar (and Shao Xing wine). 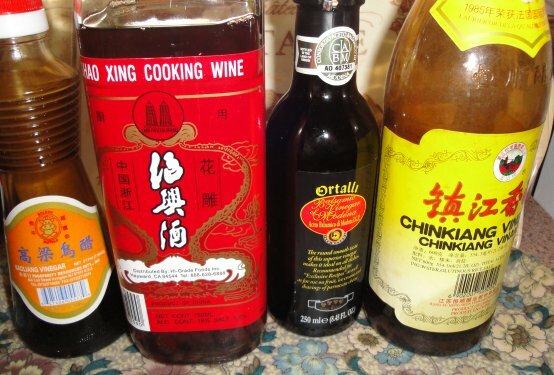 From left, Kaoliang vinegar ( from Taiwan), Shao Xing wine, Balsamic vinegar (the cheap stuff), and Chinkiang vinegar (from Zhen Jiang city, China). At other times, I’ve also used apple cider vinegar, and Japanese rice vinegar. 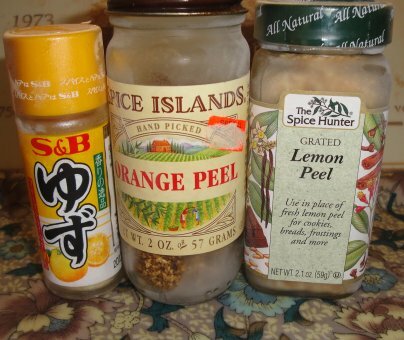 I also add some dried citrus peel to the mix. I usually have dried orange peel on hand, this time I had Yuzu, orange, and lemon. I start off by reducing the vinegar with sugar, a slice of ginger, a sprinkle of chili powder, and a touch of salt. Two parts Balsamic to one part each of the other two (total a little over one cup). Dissolved about four tablespoons of sugar and a touch of salt. Reduced to about three-fourth of a cup. I find that if I don’t make the reduction, the sauce at the end is to watery (the mushrooms release lots of liquid during the cooking process). After the vinegar is taken off the heat, add less than a quarter teaspoon (total), of the citrus peels (if you add them while cooking, they tend to turn bitter (my opinion). Sauté mushroom in a bit of oil (I used peanut oil, I’ve also used olive oil, when available). 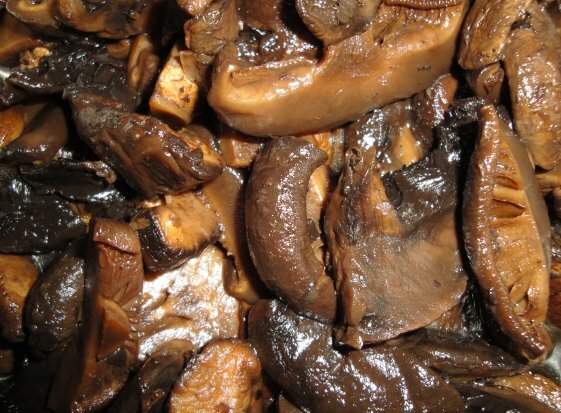 Add the vinegar reduction when the mushrooms start to brown. Stir and braise for ten to fifteen minutes (when the mushrooms look cooked). Let cool and refrigerate for at least one day. The vinegar mellows out and the sauce becomes rich and “mushroomy”, less of a pickled taste. This dish goes well with steak or chicken, on rice or with warm crusty bread. Drool. As a bonus, it’s totally vegetarian. I’ve even used the leftover sauce to dress pasta salad (it’s not pretty, but very tasty). I’m sending it over to Deb at Kahakai Kitchen for her Souper Sunday feature (you could call it a stew). I was at the Korean market the other day and bought a package of ingredients to prepare DIY Bibimbap. There was enough for at least two servings (me and The Cat). Everything was already cooked and marinated. Just add rice and an optional fried egg. 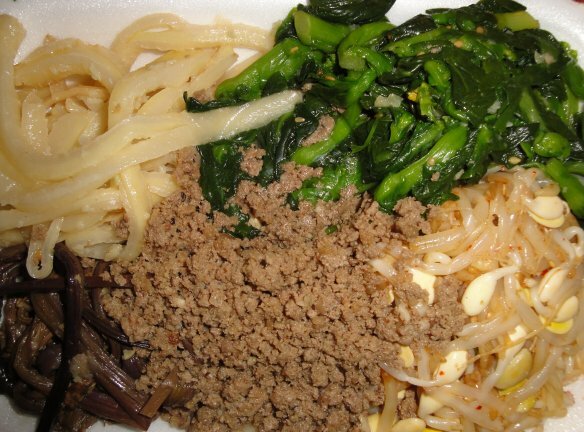 Clockwise from top left, seasoned turnips, seasoned spinach, seasoned soy bean sprouts, ground beef, and seasoned fern shoots. And then things got a little off-track. At another market, they had poi. I don’t think the market gets enough supply of poi to fill the demand (they’re usually out when I stop in). I bought a container. Eating weird combinations has rarely stopped me (just ask The Cat). So, The Cat had steamed rice with her vegetables and ground beef, and I ate my vegetables and meat with poi. The combination was very good. Almost, if not equal to, as good as with rice. Yum. 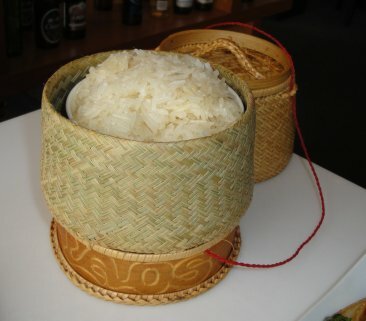 Poi is an acquired taste or texture to some, but remember, I also enjoy natto and stink doufu (I’m just saying). I think we’re in the wrong professions. The last time we were in China, we hauled back rice (see previous post). This time, The Cat hauled back tea. We should have been caravan traders. One friend gave The Cat a box of tea containing sixteen packages of tea. 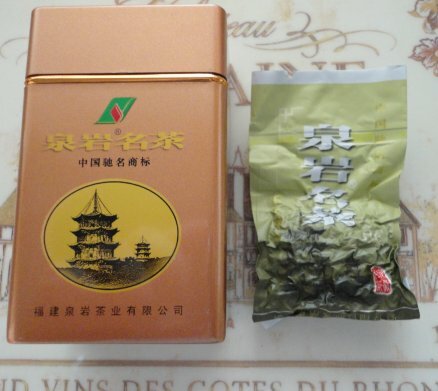 It’s called rock tea from the Fujian Provence. 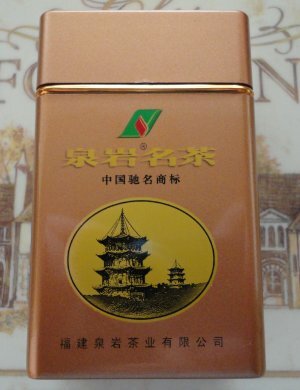 This is the green variety. A better description can be found here. Another friend gave The Cat a box of tea containing four containers of white tea. 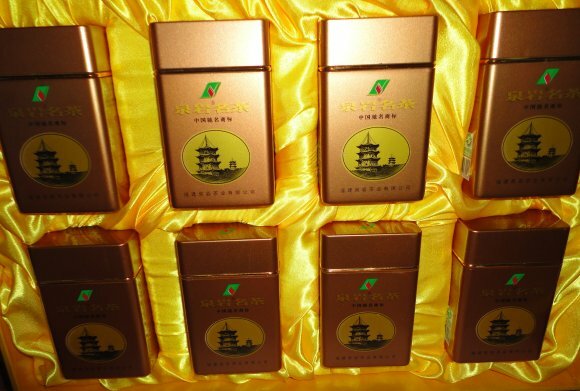 The Cat bought a gift box of Pu-Erhtea to give away. 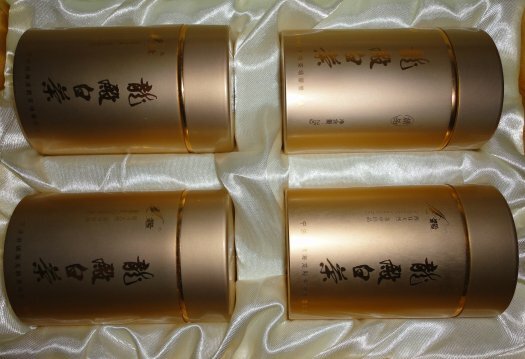 The tea on one side can be used immediately, the other side can be used or kept to age (like some wines). 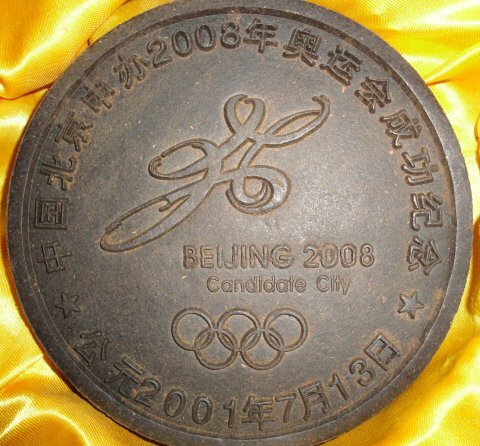 Recently, another friend brought back a rather expensive brick of Pu-Erh tea that has the Olympic logo on it. This brick is meant for aging. 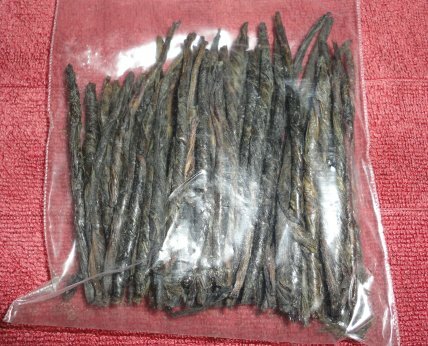 The Cat purchased this bamboo tube of Pu-Erh tea for us to try. 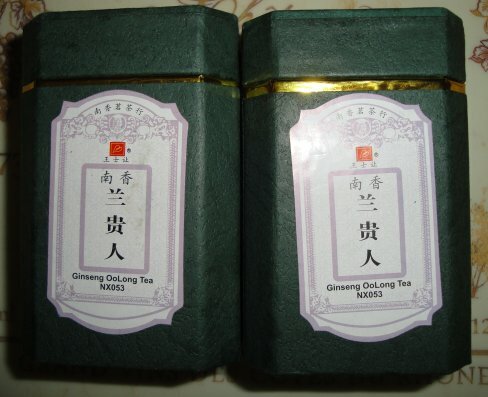 The Cat also purchased Oo LongTea with Ginseng. I think more than half of The Cat’s suitcase was tea or tea related. We’ll be opening the T4U tea shop in the very near future (just kidding). 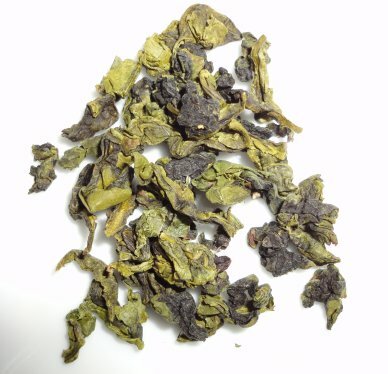 For the first tasting, we opened the rock tea from the Fujian Provence. Each container has four sealed bags. I estimate each bag can make about four to six servings (each portion of tea can be used about three times, my estimate). 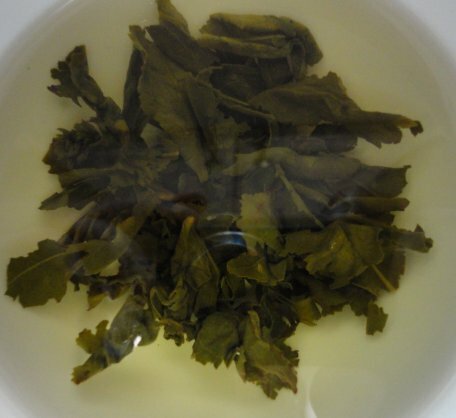 The tea has a very pleasant aroma, fresh and slightly flowery. The taste is light and slightly grassy. It’s become one of my favorite teas so far. 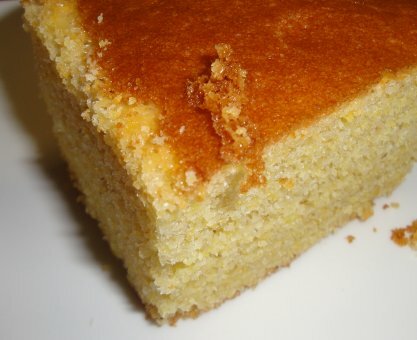 The tea went great with a bit of corn bread. Stay tuned for further tea tasting adventures.